It’s a great week to be a Hollow Knight fan, as not only has Team Cherry announced a reveal date for the upcoming Hornet DLC but a new ESRB rating suggests that a multi-platform physical release may also be underway. 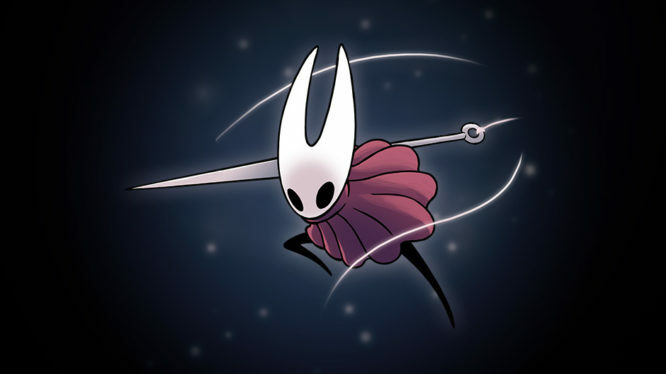 Hollow Knight’s final DLC, featuring Hornet as a playable character, appears to be just around the corner. 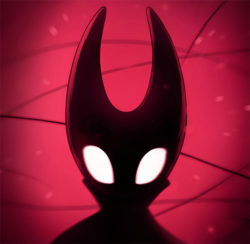 Developers Team Cherry teased on twitter that a first look at “Hornet’s new adventure” would be coming this Valentine’s day, on February 14th 2019. In addition to the public announcement, fans were also treated to a teaser image featuring a silhouetted Hornet on a pinkish-red background. Coined by fans as the “Hornet DLC”, the content pack’s official release title is still yet to be revealed. The upcoming Hollow Knight DLC pack will mark the final content pack promised by Team Cherry in their initial Kickstarter Campaign. Although full details of the pack haven’t officially been announced, over the past few months Team Cherry provided various teasers about what fans can expect. Players will take on the role of Hornet, packing brand new moves and mechanics, as they adventure through a mix of new and old areas. The story revolves around Hornet’s rival “Sharpe”, who along with his companions, is dead set on hunting down Hornet and eliminating her. As if brand new DLC wasn’t exciting enough, it also appears that Hollow Knight’s physical release might be back on track. Team Cherry first announced a physical release back in August 2018, which to the disappointment of fans, was later cancelled due to time and development constraints. Now, thanks to a new ESRB rating, it appears that a Hollow Knight’s physical release may see the light of day after all. The new ESRB rating, which lists almost every available platform, was coincidentally published a matter of days before the Hornet DLC pack announcement. Considering the previous partnership fell through due to the game still being in active development and with the final DLC now wrapping up, it certainly seems like prime-time for a complete physical release.